I want to draw a schematic process diagram in QGIS (yes, I really want, because I can document my data in the table) but it seems impossible to create a CRS that is simple Cartesian (x,y). Anyone can give me a hint? You could use any projected CRS you like, they are all simple Cartesian grids, but don't use a geographic (lat/lon) CRS. You could use EPSG:27700 for example. If you go to project properties, CRS tab you can turn on the "no projection" option. This should achieve what you're after. Not the answer you're looking for? Browse other questions tagged qgis coordinate-system qgsmapcanvas or ask your own question. 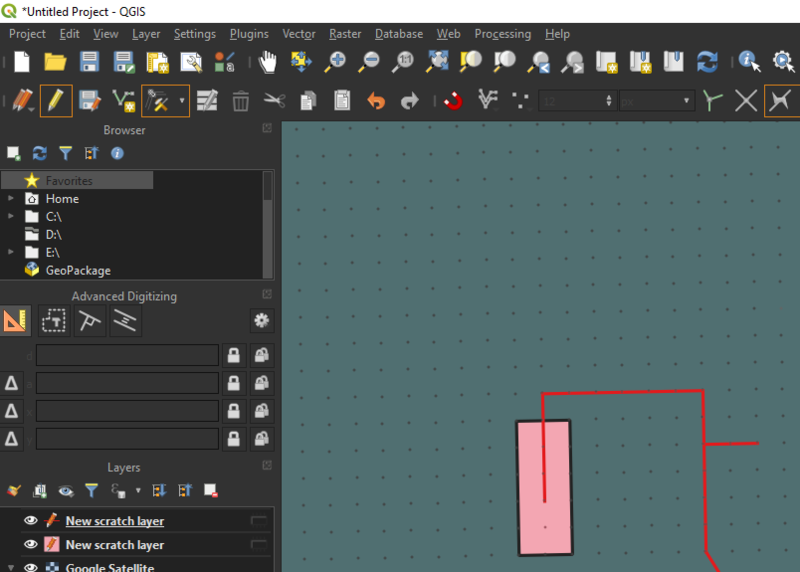 How to project a layer from WGS84 lat/long (automatic projection) to WGS 84 UTM Zone 23S in QGIS? Creating simple x y grid with no projection for non geographical spatial analysis in QGIS?